"A man is truly free, even here in this embodied state, if he knows that God is the true agent and he by himself is powerless to do anything." "Each has to get the result of the actions one has earned for this life. A pin at least must prick where a wound from a sword was due." "Every religion can be divided into two parts, one of which may be called the nonessential and the other the essential.."
Swami Abhedananda, an apostle of Sri Ramakrishna Deva was born on October 2, 1866. He spent his early life among the brotherhood in Baranagar Monastery near Kolkata, in severe austerity, travelled barefooted all over India from 1888-1895. 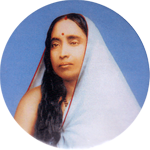 At Swamiji's express command : "Send Kali immediately to London to assist me in my work here. I am arranging his passage", the unknown Hindu Sannyasin now prepared himself to make his appearance on the world-stage as a preacher and teacher. After one year's arduous work in London the Swami landed in New York and took charge of the Vedanta Society in 1897. He became acquainted with many distinguished savants, including Prof. Max Mueller and Prof. Paul Deussen; made frequent trips to Europe, delivering lectures in different parts of the continent — crossed the Atlantic seventeen times. The Swami was appreciated very much for his intellectual brilliance, oratorial talents, charming personality and nobility of character. After an eventful life and glorious career in the West spanning a quarter of a century, the Swami came back home and established centers at Calcutta and Darjeeling. The Eternal Monk of International Stature left his material frame on the 8th September, 1939. To the worshipper he was the perfect Bhakti; to the worker he gave the soul of work, the mystic found Divinity in him and to the man of reason he was the grand Jnanin. Something very close to the sublime shone through his measured living. Ramakrishna Vedanta Math has taken a solemn pledge and vowed to cherish the Divine memory of its Founding Father and Spiritual Mentor. We vow to celebrate the memory of Swami Abhedananda through manifold activities during the years 2015-2016. These include : Programmes to benefit marginal sectors of society — like free Coaching Centres, setting up Diagnostic Centres and running charitable allopathic centres; for empowerment of women free computer education programme and training in sewing and needle works; permanent centers for feeding malnourished slum-dwellers; to expand existing Homoepathy centres. In addition to these philanthropic activities, we propose for free distribution of Samiji's message — extracted by careful appraisal from his voluminous writings and establishment of Research-centre to explore significance of his spiritual ministrations and philosophical writings. We also plan to set up Abhedananda Archive to treasure holy memories of the unique soul. Needless to say, such a lofty Project requires heavy expenses to the tune of Rupees one crore (INR). We appeal to the people of India to contribute liberally in this noble endeavour. Any contribution will be respectfully received and acknowledged. Donations are exempted from Income Tax under Section 80G of I.T.Act 1961. Foreign donations are accepted as per FCR Act 1976, Sec.6(1). 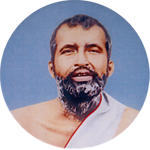 Once again, we appeal humbly and in all humility to all benevolent persons to contribute, to the extent possible, to enable Ramakrishna Vedanta Math to celebrate 150th Birth Anniversary of Swami Abhedananda — the unique Apostle of Monism.